Robin McLaurin Williams (July 21, 1951 – August 11, 2014) was an American actor, comedian, film producer, and screenwriter. Starting as a stand-up comedian in San Francisco and Los Angeles in the mid 1970s, he is credited with leading San Francisco's comedy renaissance. After rising to fame as Mork in the TV series Mork & Mindy (1978–82), Williams went on to establish a career in both stand-up comedy and feature film acting. 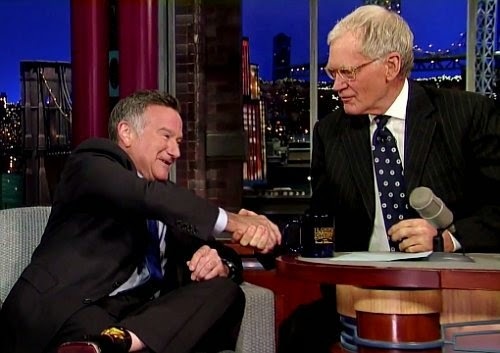 Conan recalls Robin's incredible generosity and his many hilarious visits to the show.